Description: By creating handmade envelopes, you can artfully place special containers within other special containers—that is, you can make countless kinds of unique envelopes and merge those with the design of your handmade books. While weaving in lore about envelopes’ history, we will make a variety of envelopes and explore ways of joining those with several simple book forms. 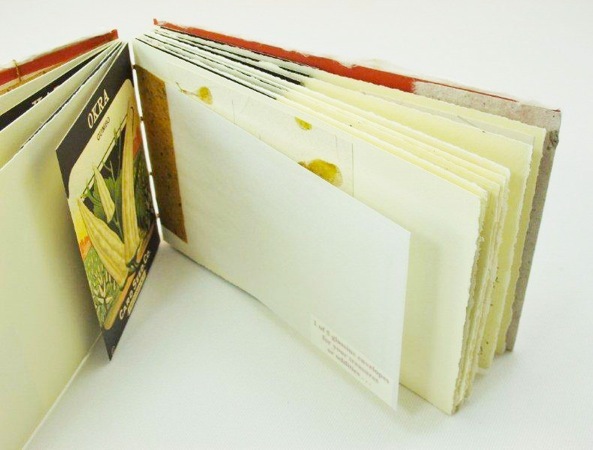 We will make an envelope-style book, an accordion-style book incorporating envelopes in several ways, and a pamphlet-stitched book in which we not only insert envelopes but also create envelopes as extensions of the pages. Also, we will discuss ways of meshing the various parts’ images, text, and form to achieve a desired overall effect. 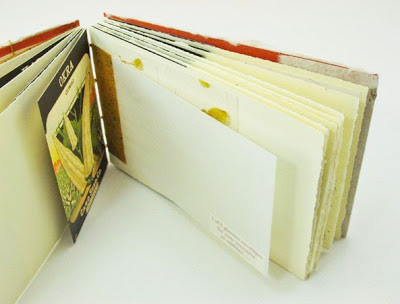 By the end of the workshop, you will have patterns for a wide variety of envelopes, plus a wealth of ideas and techniques for envelope-book combinations. To Register: Visit the Asheville BookWorks website to register on-line or contact Asheville BookWorks via e-mail.